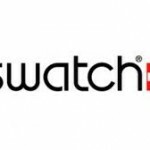 The Swatch brand watches and jewelry was founded in 1983. Each of Swatch Clock is water resistant. In the beginning they have named the brand Zweituhr. Later they translated it to English and it was called Second Watch. This name, however, was too long so they called it S-Watch. And they came with Swatch the end. This name is simple and has the word Watch (Clock) in itself. If one looks at Swatch watches you can see they are very funny, colorful, cheap plastic watches. Every six months they have a new collection of colorful clocks. But of course they also have sophisticated, trendy, expensive and sporty watch with metal case, metal bracelets and leather straps. Spezille watches with fine construction, such as platinum casing, mechanical watch movement or Diamantlünette Swatch sold. There were already over 500 000 000 Swatch watches produced. The goal of Swatch produced until 2033 1111 million watches can be had. Swatch has its own name for their child watches. Her name is Flick Flack. You have a colorful design. Flick Flack intended to represent two advertising figures. Flick Flack on many clocks the minute hand the hour hand and the character Flick Flack the figure.